One of the best early-season apples, Akane is a marrage between the American Jonathan apple and the English Worcester Pearmain. In appearance it most closely resembles the Worcester Pearmain. 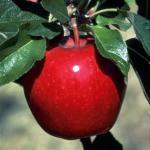 For an early apple variety it has an unusually good balanced flavor, reflecting the influence of the high quality Jonathan. Akane ripens late August - early September. 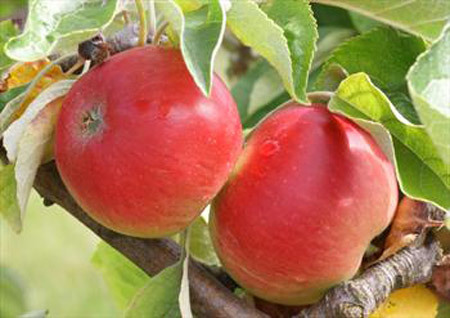 Like most early varieties the apples do not keep that long, however they hang on the tree rather than falling and cropping can therefore take place over a number of weeks. 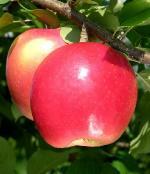 Can also be used for summer apple cookery, slices will keep their shape when cooked.